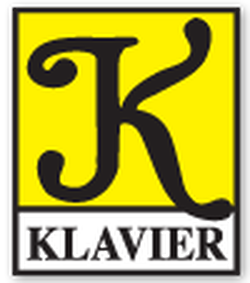 Look for this and many other fine recordings on the KLAVIER label. Commissioned by and dedicated to the Wantagh High School Wind Ensemble, Wantagh, New York, Mindy Dragovich, Director. The work is based upon a poem by a World War I soldier titled, "I have a rendezvous with death." ​Written for and dedicated to Don & William Green. Don Green and I have been friends for over a quarter of a century. He has dedicated his professional life to music education in Western Pennsylvania and is a superb teacher. For several years, Don has been asking me to write a band piece that would promote autism awareness; Don’s son William is challenged with that condition. As I have recently retired, it has been my desire to “give back” to a profession that has given me so much. So, I have written such a work entitled “Puzzle Pieces”. The Puzzle Piece is the logo of the Autism Society because the affliction does not affect any two people the same way. Commissioned by the Appleton North High School Band, James Thaldorf, director. ​It features a prominent electric bass part throughout. Commissioned by the "Wachovia Winds" for their "Youth Symphonic Band". Patricia Hughes Ball, conductor. Danny Green and Phillip Riggs, co-founders. The work is based upon the Moravian Hymn “Join is all in one accord”. ​This is a setting of the Navy hymn “Eternal Father Strong to Save” written in commemoration of the 75th anniversary of the bombing of Pearl Harbor. The title comes from the iconic speech given by FDR to the nation following the bombing. ​Commissioned by The Miami University of Ohio Wind Ensemble alumni in honor of their conductor, Gary Speck. Premiered in June, 2018 at the Miami University Wind Ensemble Reunion. honoring the retirement of their principal Brenda Mayberry.